We cordially invite you to the launch of the book “Nothing New in Europe? – Israelis look at Antisemitism today” on Tuesday, May 28, 2019, at the TALKHOUSE, pavilion 12, at the Tel Aviv Port. 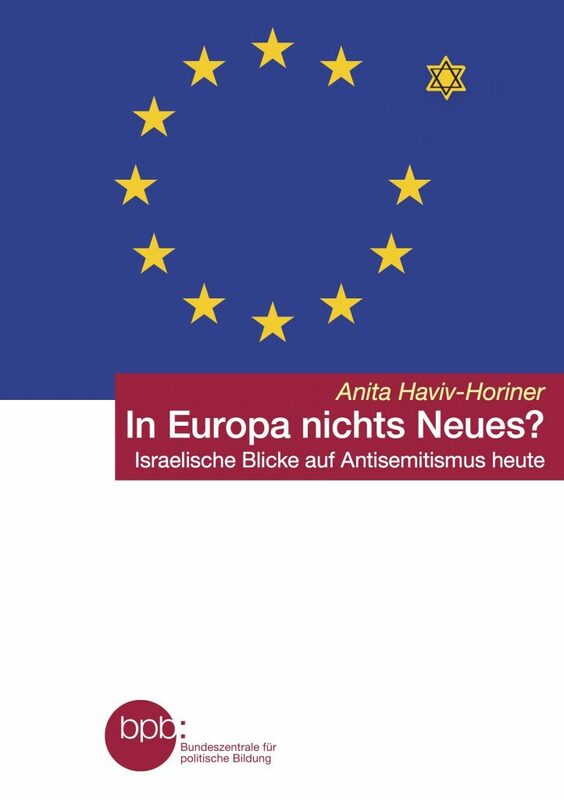 Anita Haviv-Horiner pursued the above-mentioned question in 15 very personal interviews with Israelis (aged 27 to 80) that immigrated to Israel from Europe or are living in Europe today. The event will take place in both, German and Hebrew, with simultaneous translation. A detailed program of the event will follow at a later stage. The publication focuses on the interaction between personal and societal factors impacting Antisemitism. The heart of the book consists of fifteen biographical interviews of Israelis, chosen from a variety of personal and cultural backgrounds. Due to the personal nature of the texts, the readers get to know family (his)stories, most of them strongly affected by the Holocaust. Furthermore, the interviews offer important insights into both the Israeli reality and Jewish life the Diaspora. Readers are encouraged to explore different forms of Antisemitism and think about their connection to others forms of hatred of minorities. The fifteen interviews express different and even contradictory views of Antisemitism. The conversations reflect the broad spectrum of Israeli discourse on Antisemitism. This is especially true when the role of the Jewish state is discussed. The book also raises the question of how different socialization milieus shape the way Antisemitism is perceived. An interesting example in this context is the question if Israelis who grew up in the Diaspora react differently than Sabras when confronted with hatred of Jews? The very personal viewpoints of the interviewed Israelis open up perspectives on past and present developments. The readers are encouraged to discover the worlds of the interviewees and – in a second step – to reflect on their own history and their society with regard to anti-Semitism. Is this hatred a defining character of European identity and to what extent? Can that be changed? The scientific contributions of Prof. Moshe Zimmermann and Prof. Samuel Salzborn outline the historical framework and deal with the current role of Antisemitism.